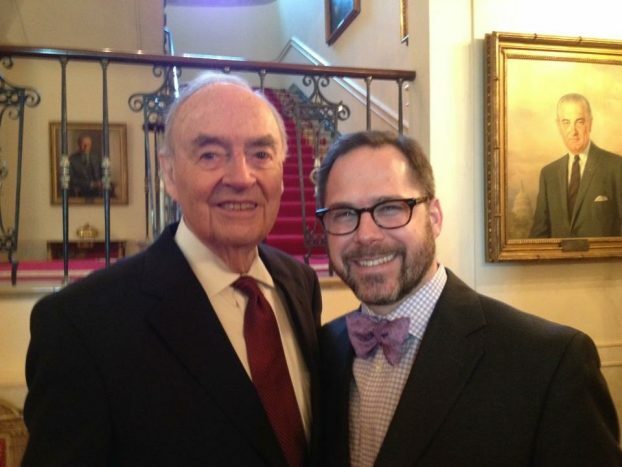 Harris Wofford’s death on Martin Luther King Day was fitting, even poetic. He was a pioneering champion of civil rights and national service. He inspired thousands of people to believe in and pursue big ideas, to serve causes larger than themselves. He was also a kind, curious, warm, thoughtful, and beloved friend I will sadly miss. 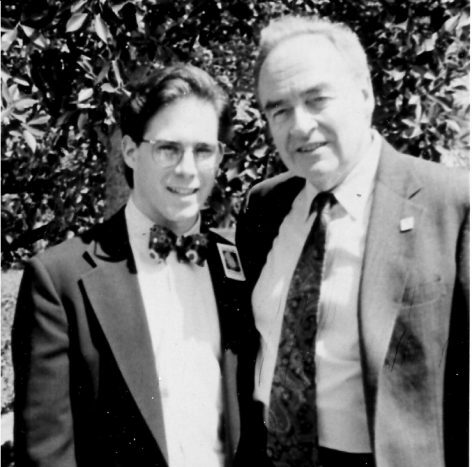 I first met Harris at a White House event celebrating Public Allies in April of 1993. As a young Democrat and political junky I knew well the Senator who had defeated the sitting US Attorney General running on universal health care and national service. I also knew that he was the leading force behind the creation of AmeriCorps, and I was about to work for an AmeriCorps program. I asked for a fan photo with no idea I would see him again. At Public Allies “Tomorrow’s Leaders Today” event, White House, April, 1993. We met a few times over the next seven years, but he never remembered me. I grew to consider him aloof and very top-down in his views on social change (my orientation was more bottom-up). Then we were in Denver for an event where we were both speaking and attended a dinner the evening before. He was speaking about some issue and describing the need for a heroic leader to galvanize the nation. I challenged him and argued that we in fact needed more organizing and building of leaders at the grass roots to move change. We tangled a bit, and I figured he’d never talk to me again. The next morning I was eating breakfast alone in the hotel restaurant when Harris approached me, and asked if we could eat together. He was curious about some of my ideas, I realized how wrongly I judged him, and we began a conversation and friendship that I have treasured for the past two decades. He came to jokingly refer to me as his Milwaukee BS meter, and would share some new idea he was thinking about or program he encountered and ask me to give it to him straight. I would also test ideas on him to see if he was moved, because he had heard them all. But over time, we spent less time talking about social change and more just talking about our lives. His resume and story are of course impressive– he had a Forrest Gump-like presence in many historical events. He could share about that time in high school(!) he had lunch with Eleanor Roosevelt. He had been eager to join the military to fight against Hitler and fascism in World War 2. He wrote the first American book on Gandhi and hosted a tour by Dr. Ram Manohar Lohia in 1951 including a stop at the Highlander Folk School in Tennessee to share teachings on non-violent civil disobedience. Rosa Parks was trained in these methods a few years later. He advised Martin Luther King beginning in Montgomery and sponsored his trip to India. He served as counsel to the US Commission on Civil Rights in the 1950s. He helped orchestrate the call between JFK and Coretta Scott King that may have won Kennedy the election and became head of Civil Rights in the Kennedy White House (Bobby Kennedy said Harris was so passionate about civil rights he was slightly mad). He helped launch the Peace Corps with Sargent Shriver, becoming its first leader in Ethiopia. He was president of two colleges, a US senator (in the campaign that put James Carville, Paul Begala, and universal healthcare on the map). He was a social entrepreneur who helped build AmeriCorps and America’s Promise. He could regale with stories about all of this and more (while we were visiting the Milwaukee Art Museum, he mentioned the time Georgia O’Keefe tried to seduce him). But what was really special about Harris was that with all of his extraordinary experience and stories, he was interested in my story. He was intensely curious, not just about my take on politics and social change, but about my life, my background, and my family. He extended the same to my wife and children. 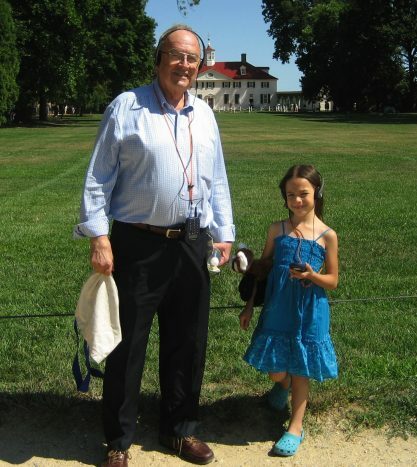 When my wife was in DC he would always visit with us, and when I brought my daughter to DC for the first time in 2007, he picked us up and took us to Mt. Vernon and other sites. 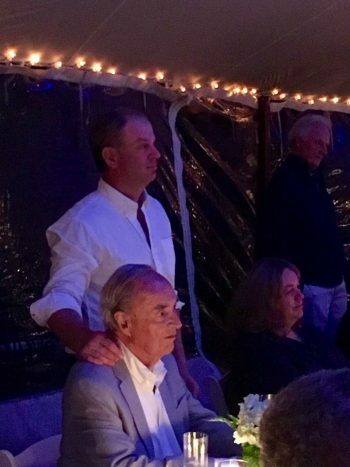 I saw what an amazing grandfather he must have been. Harris gathered young friends and mentees by the dozens. He had more friends my age and younger than I have. He was inspired by visionary young people, and it seemed every time I saw him there was some new leader or project he was excited about. He would also tell me about some young person he met on a ferry or elsewhere who he found interesting – you didn’t have to be a visionary social innovator to get his attention. He had young friends everywhere of all kinds. While I of course admired his incredible life, I viewed him more as a friend who happened to be much older. I first met Matthew when we attended Jon Stewart and Stephen Colbert’s Rally to Restore Sanity (and/or Fear) in 2010. I instantly took a liking to him, and enjoyed over the past several years hanging out with both of them. Like Harris, Matthew was always curious, thoughtful, warm, and kind. I was not surprised they were together despite their different ages and backgrounds. Jennifer and I were really happy to celebrate with them at their wedding. 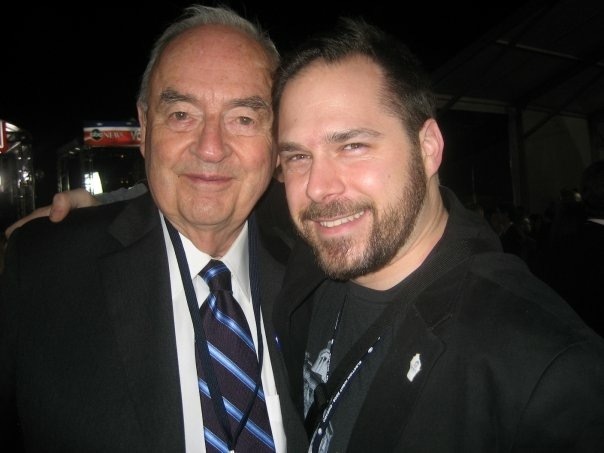 One of my favorite moments with Harris was on election night in 2008. In a sea of people we ran into each other, and I could think of no one my wife and I would rather have spend that night. The history he held and contributed to had helped pave the way for an Obama Presidency. And Harris had campaigned vigorously for Obama and introduced him at his major speech on service and his big speech on race. While we were standing near the stage in Grant Park, the sound was not great and Harris’s hearing was awful. He was standing with his ears cupped, straining to hear him. I couldn’t hear well either, so I just started making up Obama’s speech sharing some of what I knew were Harris’s favorite lines and he got so excited (Jennifer, and Harris’s assistant Josh Studl, were laughing and shaking their heads at me). 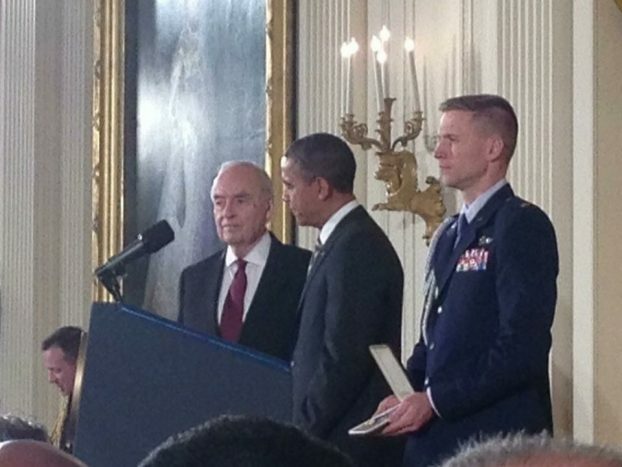 I was honored to join Harris a few years later when President Obama presented him the Presidential Citizens Medal honoring his long service to the nation. It was a blessing to know and work with an individual who lived such an extraordinary and inspiring life and worked tirelessly for over 8 decades to bend the arc of the moral universe further toward justice. But the true blessing was loving him and being loved by him as a dear friend, and I will miss my friend Harris.